Update: Thammasat University has organized an international human resources conference in collaboration with institutes and universities from 12 countries. On 26 October 2018, Rector Gasinee Witoonchart of Thammasat University opened an international conference with the title “Human Resources Management in Higher Education”. 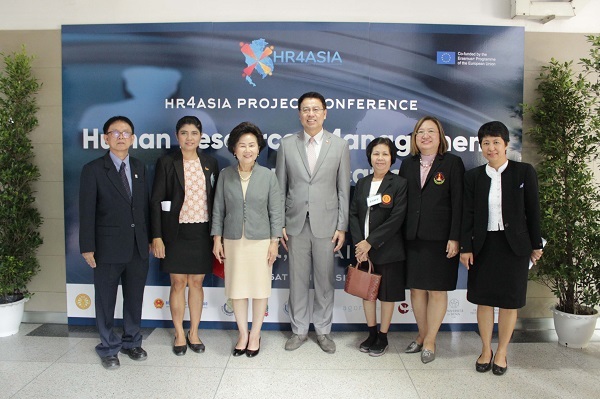 Thammasat University organized this conference in collaboration with institutes and universities from 12 countries across Europe and South East Asia, within the “Strategic Human Resources Management for Southeast Asian Universities (HR4ASIA) program supported by the Eramus+ Program. The goal of the conference was to support and enhance human resources management by higher education institutes in four South East Asian countries: Cambodia, Laos, Vietnam, and Thailand.